Rapunzel - er, I mean Emily - Cuts Her Hair! For the past two years I’ve been busy. Very busy. Part-time study, moving home (twice! ), attempting to buy a house for the first time, throw in some family illnesses and well, it leaves you with very little time to do anything else. For me, the most obvious thing I let slide was my hair. It’s thin, grows very fast and is difficult to add shape to, and without maintenance the result was very long, scraggly hair that really dragged my face down. So with my graduation around the corner I had my deadline for getting the chop! Typically I left it to the last minute and couldn’t get an appointment at my usual hairdressers and so, dear reader, what I did next is the best advice I can offer you – I scoured Fluff and Fripperies for a list of Emma’s recommendations and lo and behold I found myself with an appointment for Preen on Dame Street in Dublin. 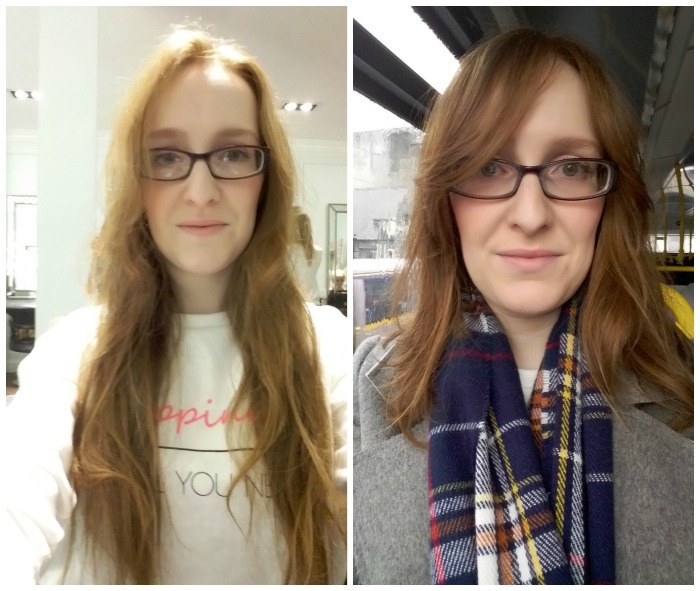 I was a bit nervous because I’d been contemplating getting quite a lot off and to leave that up to a new hairdresser who doesn’t know you is a bit daunting but I was desperate for a change. When I met with Carolin though, I couldn’t have been put more at ease. We had a full conversation about the optimum length for my hair type and how best to add a bit of shape. She understood that, while I wasn’t going pixie-cut short, it was still going to be a big change so she took me through a few images of what she had in mind and I loved the sound of it. My hair went from waist-length to just hitting my collar bone with, as Carolin called it, a peek-a-boo fringe which gives a lot of freedom for changing up the shape and style without too much fuss. I couldn’t be happier with the result. For €78, the experience as a whole was a total delight and they offer a free fringe trim service, which makes it even better value. I'll be back!